If you can, please tune into KTLA Channel 5 tonight at 10:00pm. 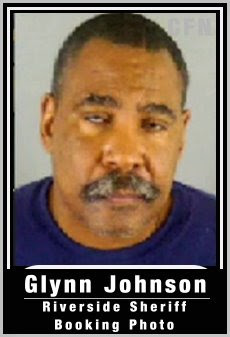 They will be doing a news story on Glynn Johnson. He has counter sued us and wait till you here what he is claiming now!!! We have also heard that he officially retired from the Los Angeles County Fire Department two weeks ago. Here is what is posted on the KTLA website. RIVERSIDE -- A retired L.A. County assistant fire chief charged with animal cruelty in the beating death of his neighbor's six-month-old puppy is turning the tables on his accusers. 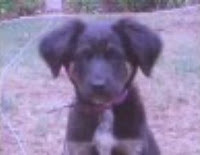 54- year old Glynn Johnson has now filed a lawsuit against the owners of the puppy claiming the dog attack left him permanently disabled. According to the lawsuit, which seeks unspecified damages, Johnson alleges he suffered physical and emotional trauma as a result of the "dog's brutal attack." Johnson has pleaded not guilty to animal cruelty, with sentence-enhancing allegations of using a deadly weapon during the commission of a felony in connection with the Nov. 3 beating. Johnson, who retired from the fire department two weeks ago, remains free on $10,000 bail. He's scheduled to return to Riverside County Superior Court for a felony settlement conference Feb. 20. Johnson maintains he was attacked by the dog and hit it only to defend himself.